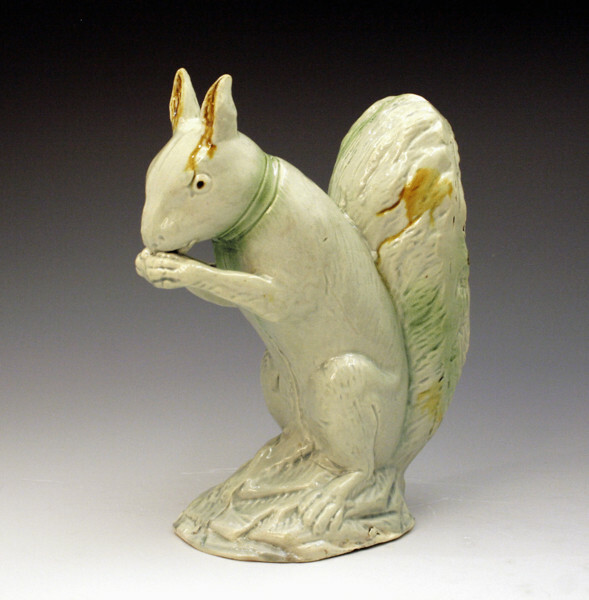 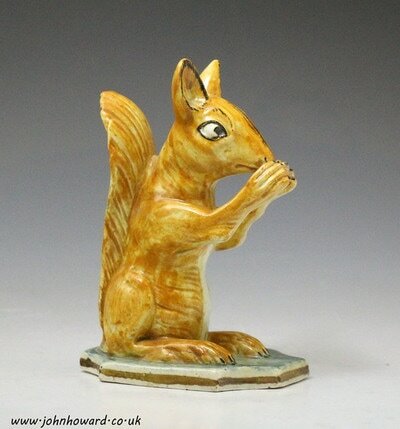 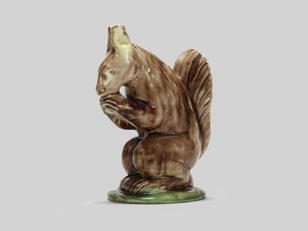 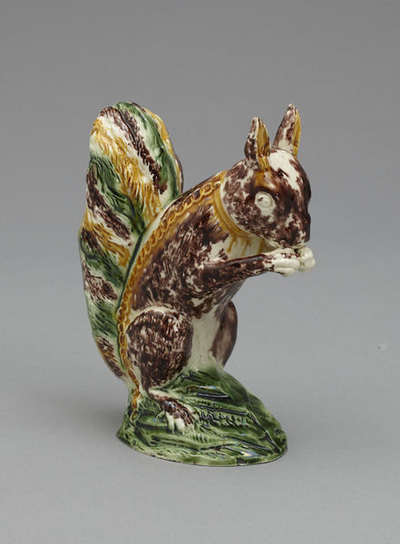 This squirrel is decorated with colored glazes, and you can see how the glaze has run deliciously. 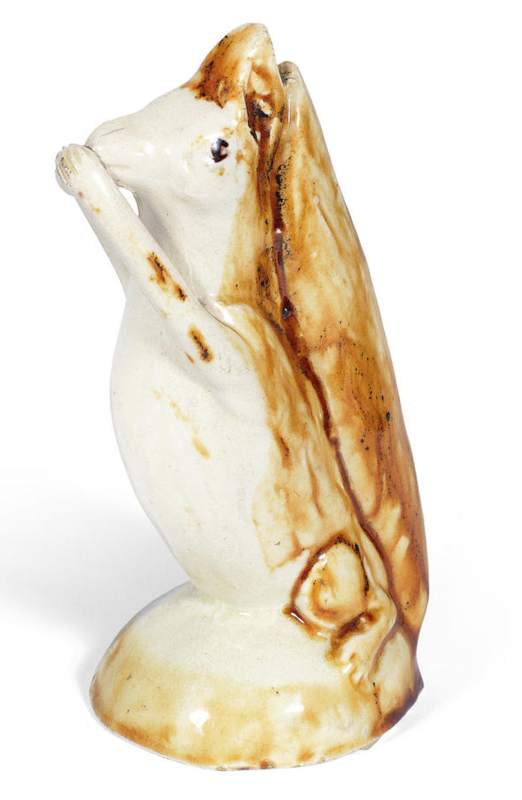 It is very much in the style of Ralph Wood. From beneath, the interior is unglazed, as might be expected on a Ralph Wood example. 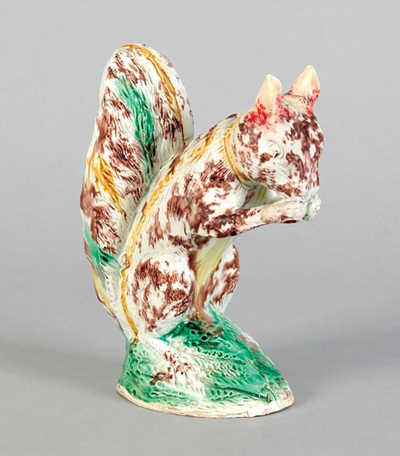 Courtesy John Howard. 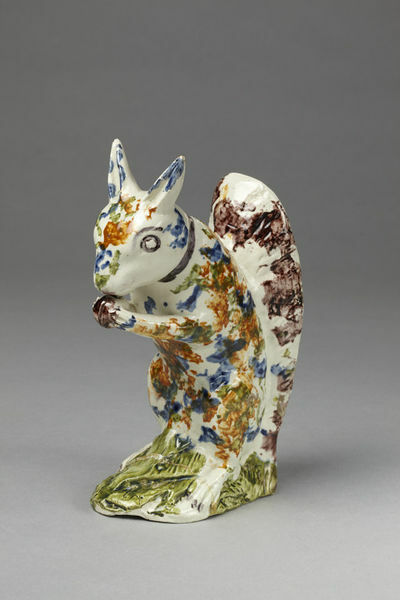 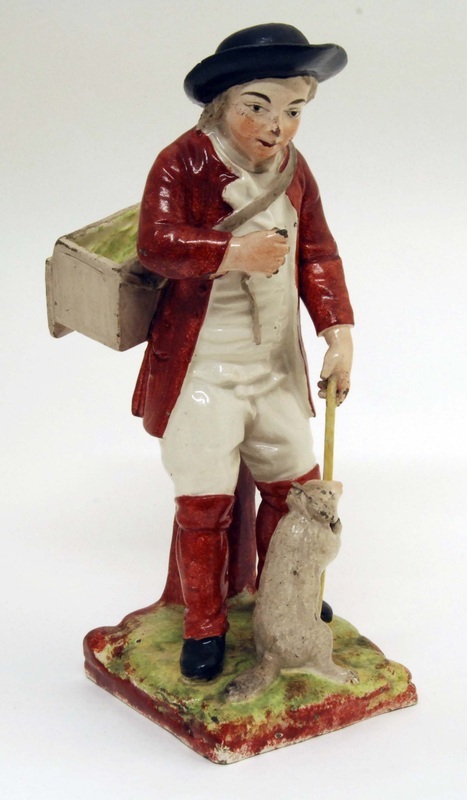 This boy with squirrel is in the reserve collection of The Potteries Museum, but I have concluded that he is not English. 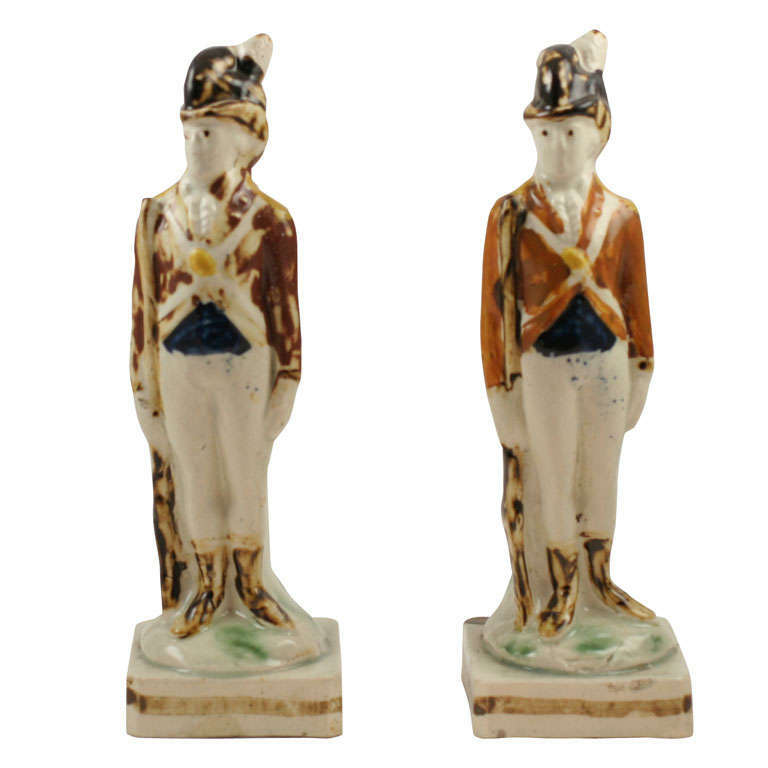 I have seen several European porcelain figures of this form, and I believe this figure originated in Europe.